Mango Sapphire is a marijuana plant with distant and heterogeneous origins whose parents are Bubba's Gift and OG/Afghan X. 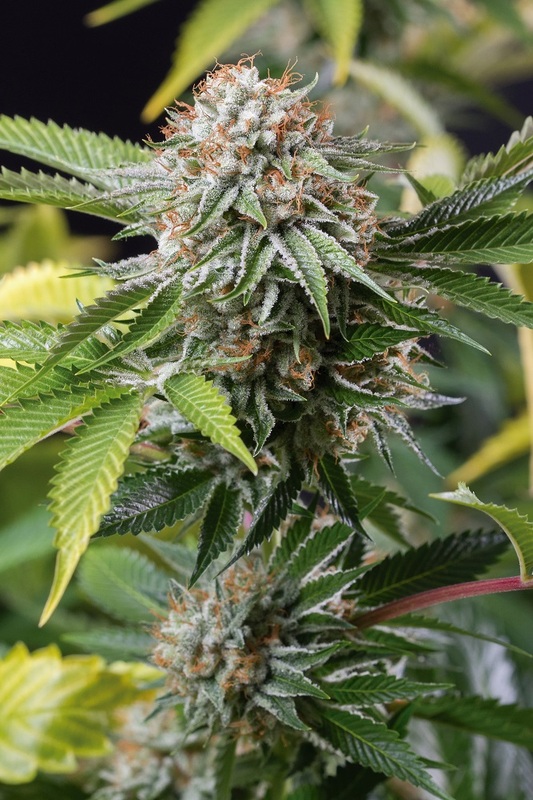 This splendid plant has a sweet and fruity scent that takes us straight to Humboldt County (California). Despite performing well not only indoors but also outdoors, it grows happier in temperate or Mediterranean climates as well as under the protection of the greenhouse. This sapphire will captivate all people around. 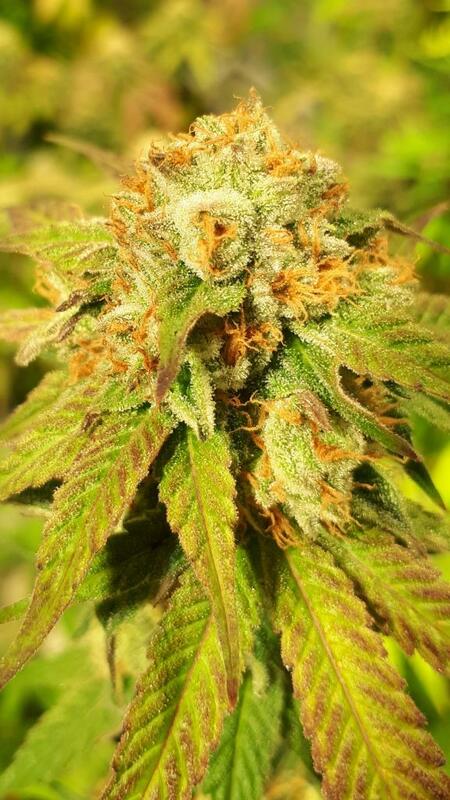 Mango Sapphire is a marijuana hybrid with very well defined flavors and aromas accompanied by nuances of exotic fruits, coconut, mango and a subtle touch of sour fruit. Its soothing effect is potent and long-lasting. This marijuana seed is well worth a try. Perfect for sybarites and for medical cannabis users. 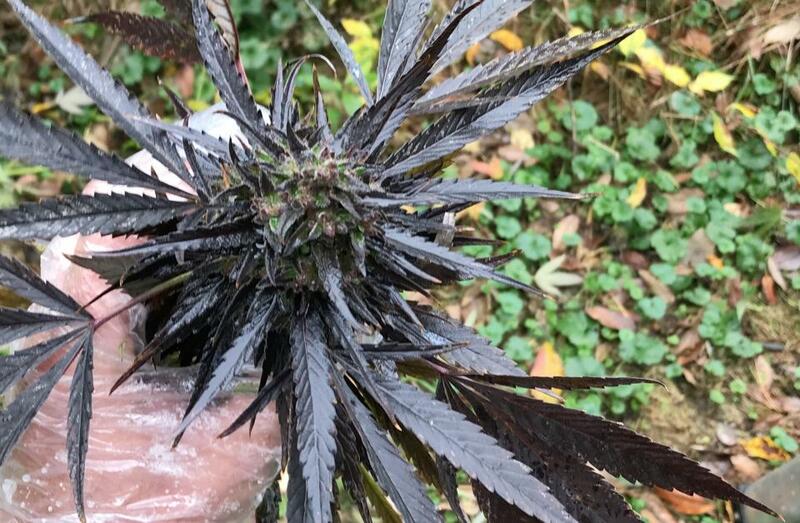 My Mango sapphire looks better than anyone on here..I’m not trying to be mean but I grow in the northeast and it’s quick and to the point.. Hands down, best looking and tasting weed i had in years. It is almost silver because of all the crystals and those blue hues... Amazing. Smell is fruty and sweet with skunk undernotes. Taste is sweet and sour. I am very impressed. Mango Sapphire was the first plant I've grown, and it was the right choice. I grew this beauty outdoors in Amsterdam, which is obviously not the best climate. Nevertheless, I was rewarded with delicious resinous nugs. The taste is in my top 5 of strains ive ever tasted. The rosin from the trim is ridiculous. 5 stars all the way. What a treat!! I grew one plant and harvested just over 3 oz. growing in a first cycle no-till 14 gallon pot. The nugs are very tight and covered in frost. After a two month cure, the mango flavor really shines through! Very tasty , smell nice , different taste , effects: relaxing mode , happiness . This strain would be best strain , i had ever taste ! Jesus Cristus! Beast of the beast! High yeild, low smell when flovering under led, smels like mango fruit when dryed and nice taste when smoking. So much crystals on bud defenetly the best strin in collection. Best Strain i‘ve ever grown ! Allows mistakes, is high yielding and has an ultimate taste, but more important is the effect of course ! to the effect: DAMNIT - an incredible couch lock indica with loads of euphoria, very intense UNBELIEVABLE thank you HSO, you‘re awesome ! I planted one seed into a 14 gallon no till pot. Seed germinated quickly and has been issue free. I’ve never topped her, only LST. Currently in day 23 of flower and she is a beast. Can not wait till she is finished. So far, very satisfied! So here's the update I got two very different females one was tall and stretchy other one was short and bushy but both trained very well to topping and other methods. The smell she gives while flowering is intoxicating, inviting you to smell her flowers one by one.The tall lanky one had more of a spicy undertone while the shorter bushy one was definitely more citrusy both yielded very well spot on as to what was advertised (2 plants in half of a 5x5 tent, 1000w led, cyco nutes, 2mon veg (training and taking clones),50days flower, harvested over 1/2 lbs. Used 5gal grow pots in soil. Buzz is relaxing but not overpowering, can be used day/night. 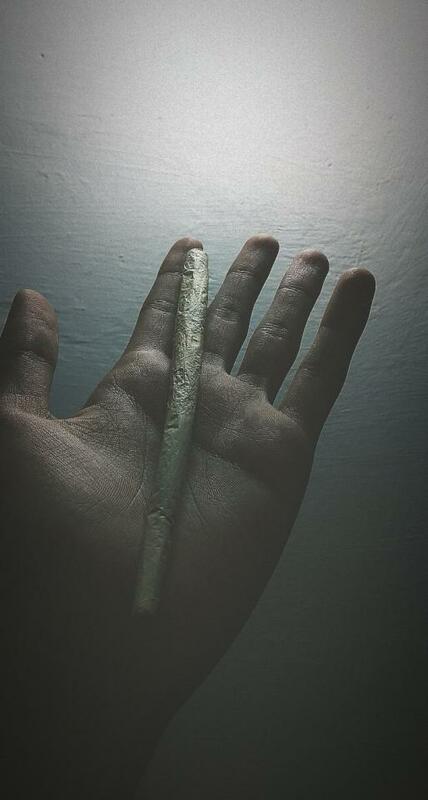 Cerebral then melt into dreamy body relaxation. This is probably the best strain I ever had the pleasure growing... Hands down dopest doap I ever grew ;) Care for the plant and it will take care of you later. Simple and easy to grow. These are great! 100% seed germination and really strong plants. They grow like mad things and 3 have filled my grow room up (I usually grow 5 or 6). The cuttings I have taken from these (just before flowering) all rooted within a week and are growing big and strong too. They are just starting week 7 of flowering and they are full of decent size buds and the aroma is wonderful. Will be flushing soon ready for harvest in a couple of weeks I reckon. My husband and I have 1 of these robust babies its third week of flower. So far they are FAST growing and getting nice buds and during veg, have allowed us to top and top again! So beautiful and easy to grow. 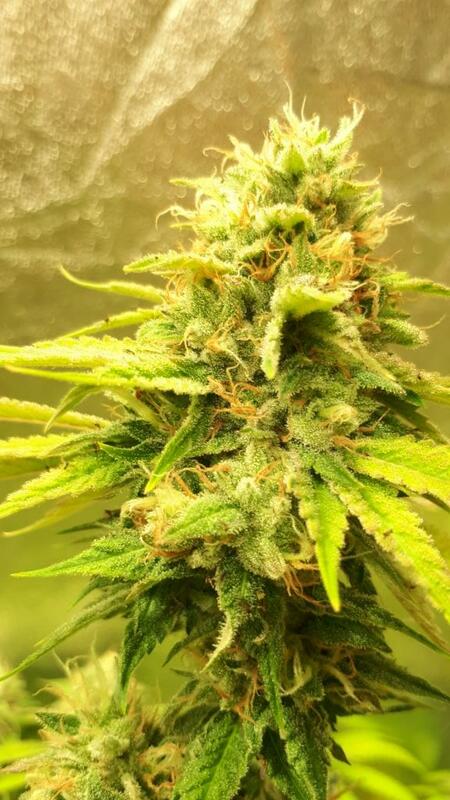 We are also growing Mango Sapphire (other is Lemon Kush Headband) as we heard this is a favourite to smoke and it is also a favourite to grow! After doing some reading we decided to let this one go "oh naturelle" and not use nutes and it is holding its own next to a different strain that has had nutes. They are currently about to be put into flower and are beasts. We topped these and topped again. Will reveiw again when we harvest but anticipate another five star haha We will also be putting this grow series on YouTube on Doob Nation. This is one of my favorite stains. The growth of them are very strong. The Smells of very sweet mango always puts me in a happy place. I squish Rosin, and the really produces. 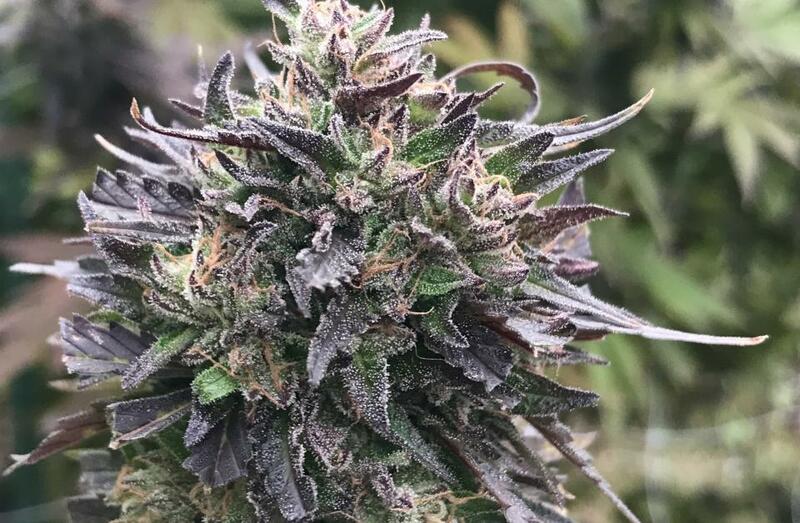 Also one of the frostiest strains I grow. I really recommend this one. Wonderful strain from HSO, super fast vegetative growth and just explodes into and throughout flowering. Very little support needed, yet heavy yields. Beautiful colors in the last few weeks. 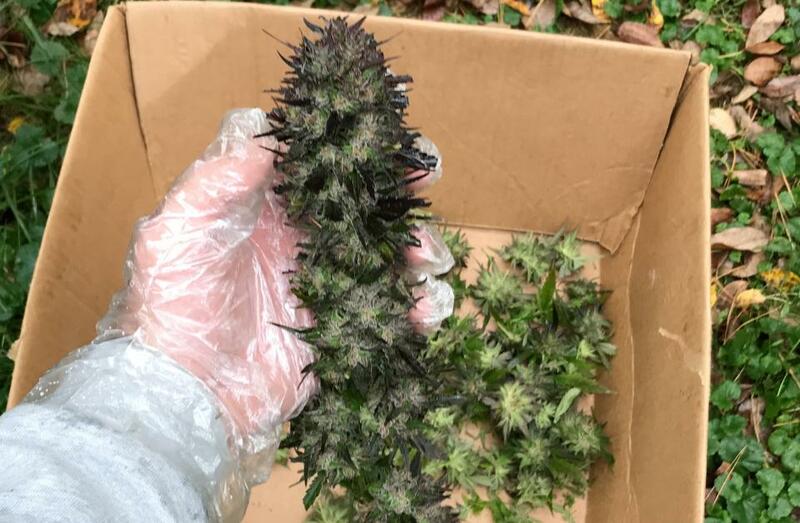 Organically grown this will give a great kush flavor and heady stone. The Mango Sapphire is one of my favorite stains I've popped from humbled seeds! Very nice trades, super sticky and wonderful mango aromas. I would highly suggest this strain to anybody who's likes growing Indica dom. Popped 10 seeds for my winter indoor grow and they were honestly the healthiest and strongest plants I've ever grown. I cloned them all prior to flowering just so I could hold onto the phenotype that I liked the most and It was a very close tie between 3 of them, 2 of them being big producers with a fruit loop type taste and the other a slightly less producer with some serious resin production. I will 100% buy these seeds again. Stable genetics make the difference. Friends and I have grown this strain 2016 one of the best for outdoor growing, good smoke and the high is great! The plants are ready between 20-25 September ( south Europe), resistant to mold and pest, hardy plants easy to grow! Great fruity smoke !! Fun to grow indoor and outdoor. Definitely needs support in late flower. It's becoming our house grow ! I am sure you guys always are told you are the best and that is because that is true i have grown your strains sour deisel,blue cheese,blue dream, and bubba's gift and they have all been everything i ecpected and more. Thanks for being a reliable and tustworthy seedbank, that is hard to find in this world. I will always buy from you guys. Best strain so far.. after growing about 30 strain.. this is best and i mean it. I have to get another greenroom only for this strain because its best..
Mango Sapphire is one of the greatest strains that I have come a cross with. It's beautiful, easy to maintain and tractable plant that forgives tiny fertilization mistakes etc. The flower is spectacular and the taste as well as the effect is fantastic. Thank you for this one! Hi, my name is Gabriel and from Chile. In my country is hard to grow cannabis due legal issues, but I do my best. I work in a grow shop, so i can get the products and the seeds to grow it, but it almost illegal. I hope some day travel to the US and know by my self the HSO HQ, and see the beautiful plants that you get there. You have the most perfect plants that I ever see. And I hope some day work whit you guys. You are my favorite seed bank, I've tried many of your seeds, and now im going whit Mango Sapphire, and I know, its going to be one of the best. You are the best guys. Have a good day.